Dying for Dungeness crabs? Craving coconut cream pie? 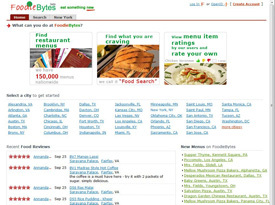 These sites let you search for restaurants that have your favorite food on the menu. Start your search by using the "Find a Food" feature and then narrow down choices with specific filters: trendy crowds, places open 24-7, kid-friendly, etc. The very helpful user recommendations give you the scoop on every eatery from people who have been there. Not up for going out? You can download a delivery menu from your favorite takeout place. 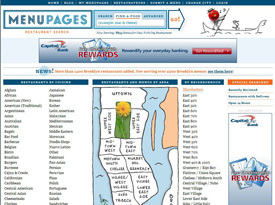 Menu Pages covers eight major metropolitan areas and nearly 30,000 restaurants.